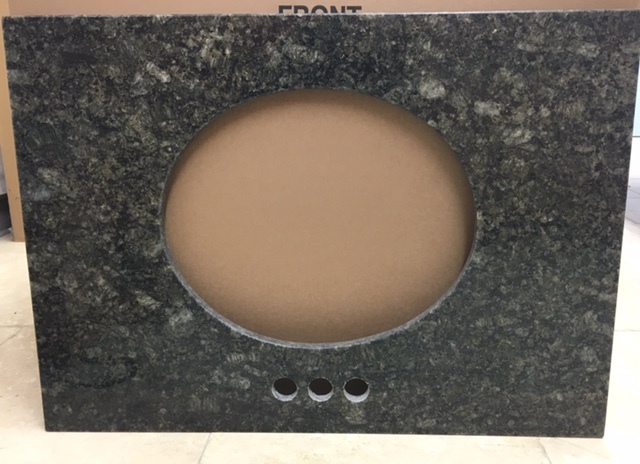 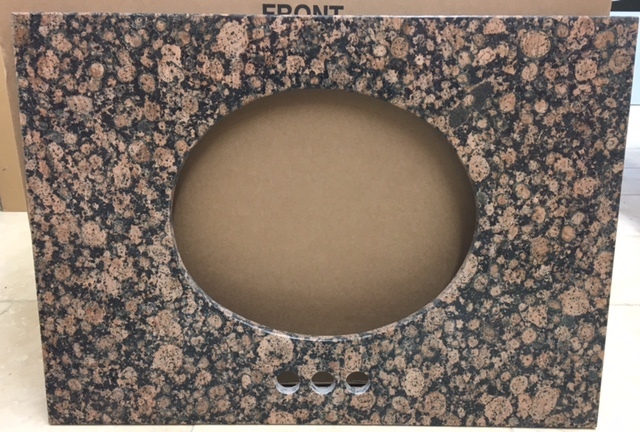 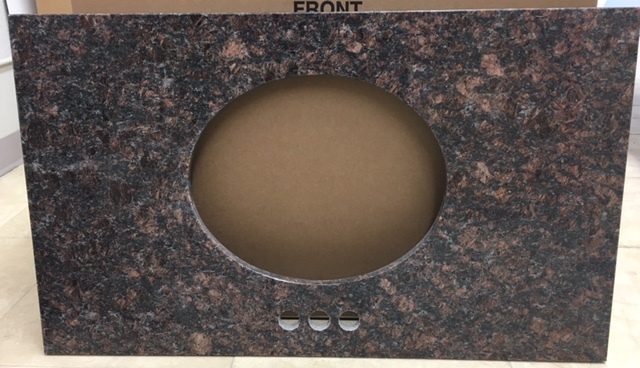 Our granite vanity tops are factory direct to give you the best value possible. 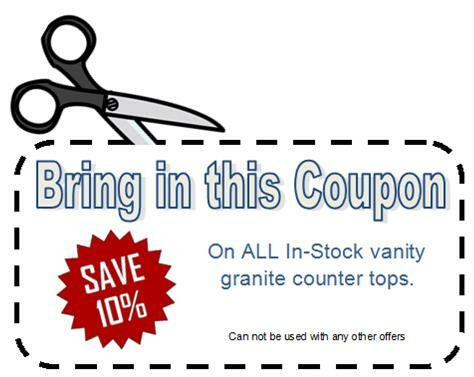 All of our tops will fit a standard depth vanity cabinet of 21" deep and come in various lenghts; 31", 37", 49", and 60". 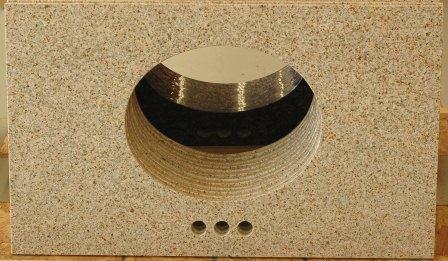 They have been cut to fit a standard oval undermount sink and come with a back and side splash. 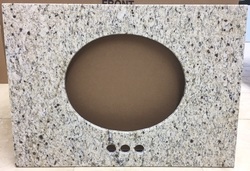 The faucet cut-outs are 4" on the 31" and 37", and 4" and 8" on the 49" tops. 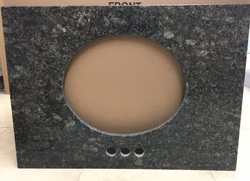 The 60" are blanks so that you can customize the size to fit your situation. 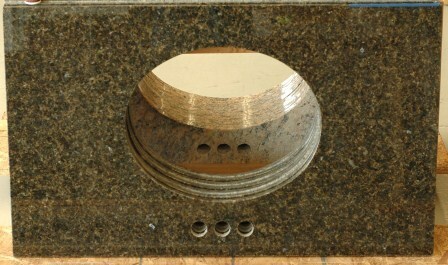 We can resize our tops if needed for a small fee and allow 3 to 5 days to have ready for pick-up. 49" x 22", 36" x 22", 31" x 22"
30" x 22", 36" x 22"
49" x 22, 37" x 22"
31" x 22", 49" x 22", 61" x 22"
49" x 22", 37" x 22", 31" x 22"